We inspire, engage and empower all students to achieve their full potential. Spring has finally arrived and we are heading into the final weeks of the 2018-2019 school year. See more. Chenango Valley High School senior Kayla Ferris displayed her artistic skills as she participated in a 24-hour drawing marathon at the Binghamton University Art Museum. See more. Chenango Valley High School students showcased their artistic talents in the “Broome County High Schools' 2019 Emerging Artists Competition and Exhibition” presented by the Broome County Arts Council. See more. On April 6, Chenango Valley High School chorus and band members had the opportunity to see the musical “Come From Away” in New York City! It was an exciting opportunity for all! See more. On March 28, CV High School seniors experienced first-hand lessons in financial management at the annual “Life is a Reality” Expo. See more. On March 27, members of the Chenango Valley varsity boys soccer team presented the Lourdes Hospital Foundation with a donation towards the Sock Out Cancer initiative and Geller Oncology Fund. See more. Chenango Valley Central School District recently received the Utica National Insurance Group’s “2019 School Safety Excellence Award” at the titanium level with honors. See more. a five-star district for our academic ranking in social studies for 2017. Click here to see the five-star district list by Buffalo Business First. Keep up the awesome work, Warriors! 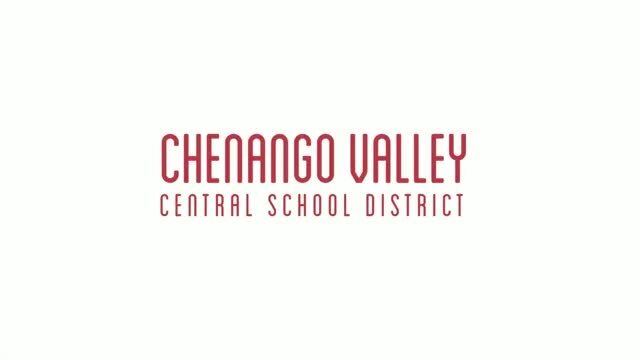 Congrats Chenango Valley Central School District for being ranked among "35 safest school districts in Upstate NY, ranked for 2018" by www.NewYorkUpstate.com! Chenango Valley is working to make our website more accessible for all users. If you have issues accessing components of the district website, please contact District Webmaster for assistance. The New York State School Boards Association recently released an article called “Yellow Buses, Red Flags: New York’s School Bus Driver Shortage." Please click here to read further information.